I always knew I would breastfeed. I have my mom to thank for that. Growing up I knew she breastfed my siblings and me, and that she really believed it was important. I’m thankful I had that mindset going into motherhood, because it was not easy. To summarize briefly, I would say it started out really hard, gradually got easier, and now is really easy. And convenient and wonderful and one of the most meaningful experiences of my life. But I had to get through a lot of difficulty to get to this point. When Kaden was born, I think it was initially hard because I was just so tired. After being in labor for five days and getting nearly no sleep for the last three, I had never been that exhausted. My mom stayed with us the first night to help out and I remember her trying to wake me over and over saying “you have to get up and feed this baby!” I was nervous about his latch and if he was getting enough too. Then a few days later my milk came in, and oh my gosh. I literally could not sleep at night for a few weeks from being so full. I was leaking constantly and felt so uncomfortable. At the time I thought it was normal. Thank God, that is not normal. Then I had a few back to back cases of mastitis for some extra fun. That might be the sickest I’ve ever felt. I had a really high fever and couldn’t get out of bed for awhile. I remember crying to Landon and saying I just want to feed my baby without pain! There was also some silliness about the pediatrician saying I should supplement because he wasn’t gaining weight fast enough for their formula company’s growth chart. We didn’t supplement. He was strong, healthy, and going through plenty of diapers. And we never went back to that pediatrician again. Now, the good news is, most people do not have this terrible of a time. My hope is not to scare anyone. Many people do not have a terrible time at all. But IF you do have a terrible time, you need to know that if you can keep going, it will get better. I had taken a breastfeeding class at our birth center while I was pregnant, and I recalled Charlie, the instructor, saying if you can make it two weeks it will get easier and by six weeks you’ll be a pro. I don’t know if I was a pro by 6 weeks, but it was getting easier. 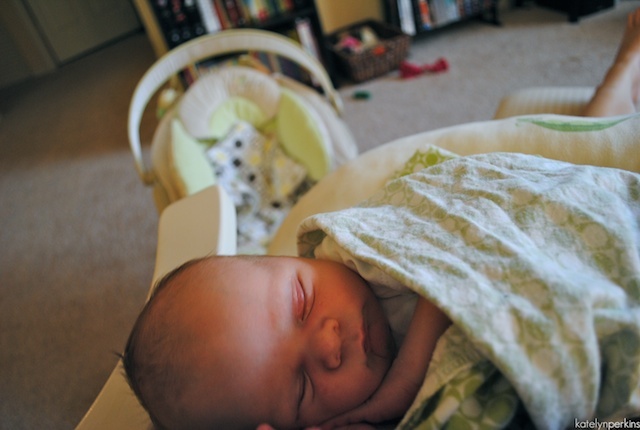 Doing anything else was a little hard, because my baby liked to nurse every 30 minutes for the first six months or so, but it worked out. And it was really, really worth it. That’s what I really want to share with you. That despite all the challenges, it was worth it. With new experiences, there’s a learning curve. And once you figure out one stage in parenting it seems like there’s always another. We’ve now done nursing while pregnant, tandem nursing, & nursing a toddler, all of which came with their own challenges and rewards. So whatever your own breastfeeding goals are, I just want to share with you a great big You Can Do It! Because breastfeeding is important. It’s worth it. And right now, I’m just really glad we stuck it out. From you,and my faith in The Lord has brought me to today- 8 months old and still breastfeeding! Thank you,my friend. Brest feeding is like a superpower for mums by which they can make their child strong and smart. Actually breastfeeding is far more beneficial than having just simple health benefits, actually Brest feeding is a way by which mothers attaches both physically and emotionally with her child. Also it is a scientific fact that women with breast feeding habit have stronger mental connection with their babies from the mother who avoid this.